Bromeliad gardening…. Enn Zud Style ! Maureen Green has made a living masterpiece in the charmingly tiny hamlet of Maungakaramea, north of Auckland on the way to Whangarei in New Zealand’s Northland. 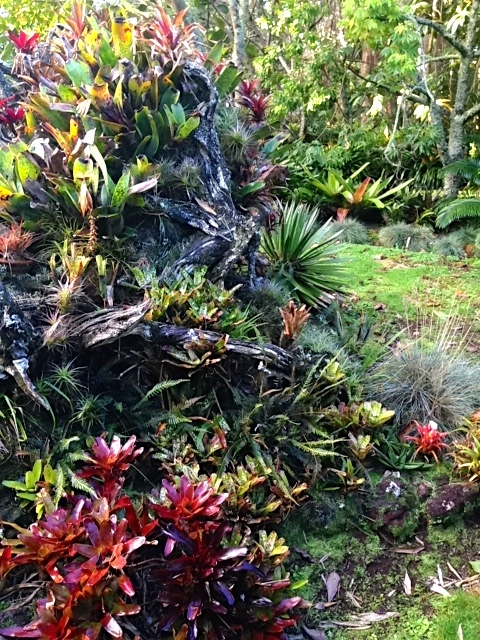 Here, at the end of a long jewel encrusted driveway, is a bromeliad mother lode. But this is not an artless “pizza garden”, with taste free gobs of colour indescriminately daubed from patch to patch. Oh no, THIS comes from a master eye that sees everything, from the tiniest ruby edged margin to the full visual weight of truly magnificent hero plants. 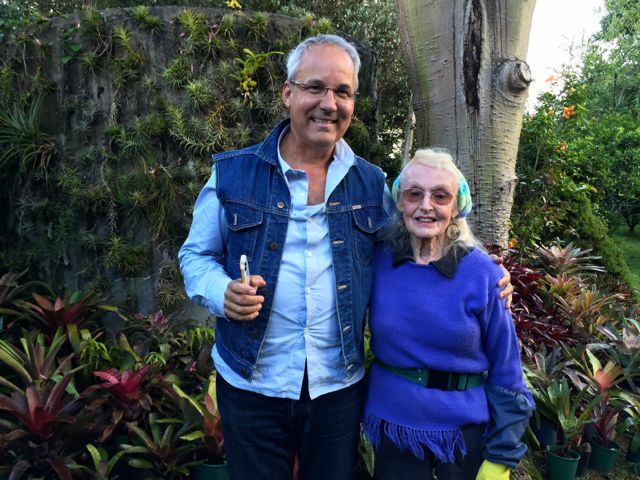 Such is the creative agility of the horticultural mind; if your large tree falls with all epiphytic occupants catapulted to far flung garden parts, make the unsuspecting into a magical Tillandsia Water Tank…… Maureen has. 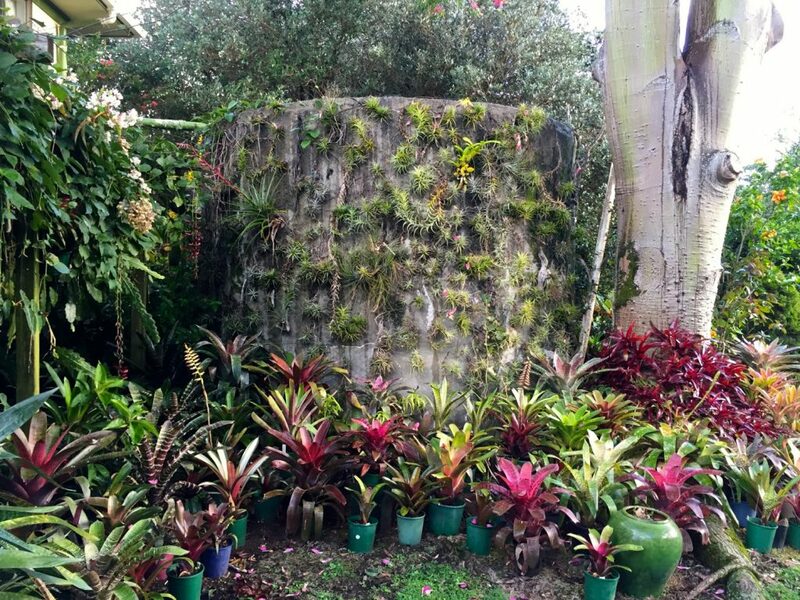 Especially rich in vrisea, neoregelia, aechmea & their interspecific crosses and hybrids, together with myriad tillandsia, nidularium, billbergia and canistropsis don’t let Greens Bromeliads unassuming street sign deceive you …. GO DOWN THAT LONG DRIVE and you will be rewarded.